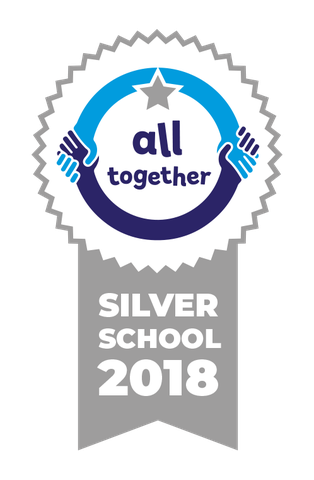 We are the proud recipients of the Anti-Bullying Alliance Award - Silver status! In February last year, we embarked on an anti-bullying programme, funded by the Department of Education and delivered by the Anti-Bullying Alliance. Enrolling on this programme enabled us to audit and regularly review our current anti-bullying practice and create an anti-bullying action plan that was specifically tailored to our needs. We have conducted a pupil wellbeing questionnaire twice over the last year which has informed strategies and formed the basis of our action plan. We have a dedicated team of Keep Safe Councillors and the Keep Safe Den on the playground, alongside regularly attending training sessions and forums. The Safeguarding team and the Keep Safe Council have worked incredibly hard to implement anti-bullying practice changes throughout school and will continue to support every pupil and their wellbeing.